Reports to the Director of Managed Care Contracting. One of two Assistant Directors of Managed Care Contracting. Responsible for assessing, analyzing and negotiating managed care contracts to maximize Johns Hopkins Medicine’s position in the evolving managed care contracting market. Makes strategic recommendations based onassessment of market opportunities. Responsible for assessing legal and financial implications of all contracting opportunities, including new contacts, contractualamendments and assignments to existing contracts. 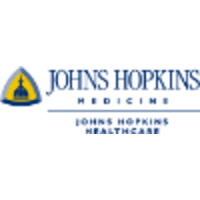 Represents Johns Hopkins Medical Institutions to third party payors. Works in concert with legal, finance and Hopkins Entity staff to develop workable business arrangements that are consistent with JHM contracting goals. Assists in development of policies and procedures for contracting which meet the market demands and which are consistent with the needs of JHM stakeholders, including the CPA, JHHS, JHCP, HCGH OB/GYN Associates, HCGH, Suburban Hospital, Ambulatory Surgery Centers, Home Care Group, and other JHM hospital, physician and other clinical entities. Work requires a professional level of knowledge in health insurance or health care administration. Work requires essential knowledge of managed care concepts, an understanding of the breadth of clinical services provided by Johns Hopkins and theability to effectively communicate (oral and written) at a highly professional level. Work requires strong analytical ability to solve complex problems. Must possess advanced interpersonal skills to effectively interface with all levels of faculty and staff as well as external business-related associates. Must possess advanced level of strategic judgment in order to effectively balance and represent the interests of multiple parts ofthe Johns Hopkins clinical enterprise to outside parties. Work requires teamwork and the ability to work well with all levels of the business. Must demonstrate the ability to provide leadership and effectively communicate (both oral and written) to all levels offaculty and staff. Work requires seven years experience in the managed care environment such as hospital/physician clinical operations, finance and/or marketing. Developed experience in contract negotiation and development required. Experience with non-HSCRC hospital contracting required.